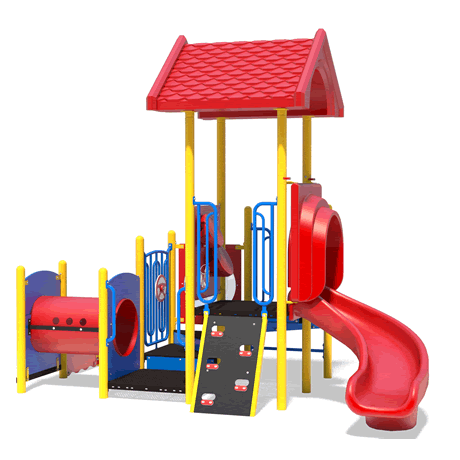 These colorful preschool playgrounds, specifically designed for children aged 2 to 5, are perfect for daycare, preschool or church play yards. Packed with fun, these preschool playgrounds are perfect for young kids, providing activities that stimulate social and physical development. 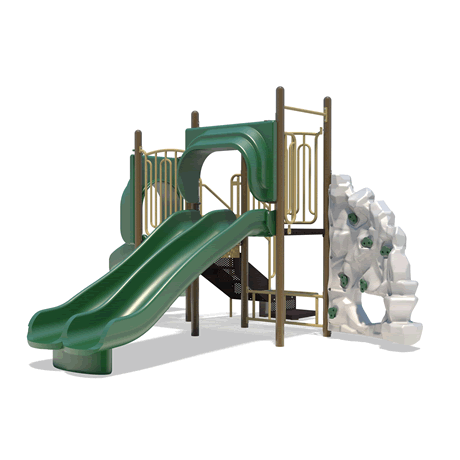 These play structures have been specifically designed with toddler to kindergarten kids in mind. 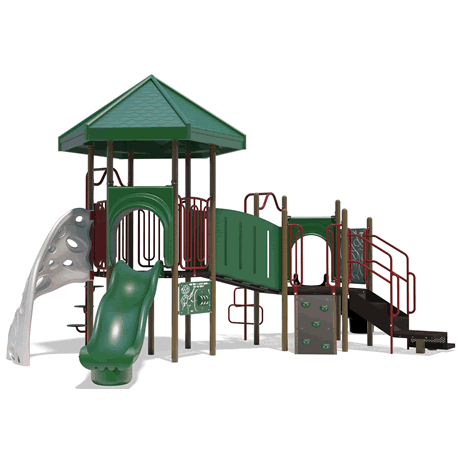 The playground sets are commercial quality and provide commercial warranty and liability peace of mind. Pair these units with the wide variety of kids picnic tables and “critter litter” trash receptacles to complete a child’s oasis! For a tight space or a tight budget, PlayFit is always a perfect fit. Your dollar goes further with smart, cost-saving design that doesn't sacrifice play value or quality. 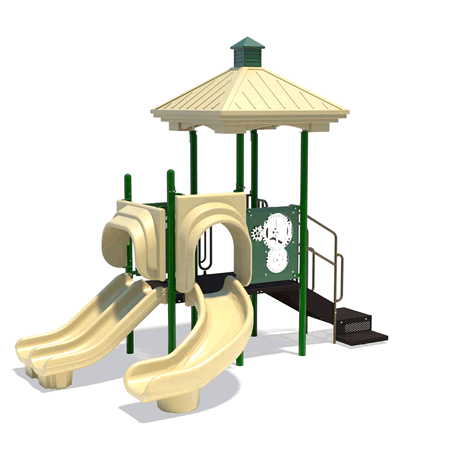 PlayFit features nearly all the same great play components as our larger play products with smaller decks and uprights to keep costs down. It's everything you need in a playground at a price that's hard to beat. PlaySteel Max™ by Henderson is large and in charge! 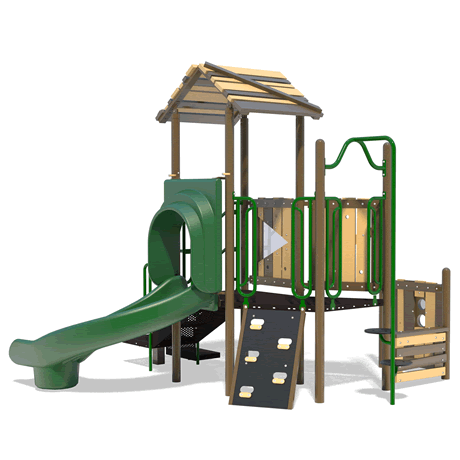 With massive round uprights, extra-large decks and an enormous selection of innovative play components, this is the premium play structure that high-use parks and schools demand. 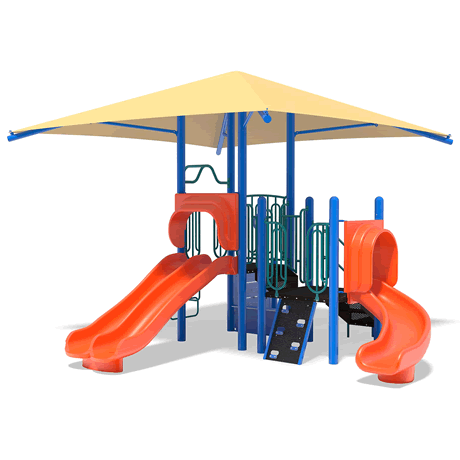 These commercial play structures are professionally designed for the 2 to 5 or 5 to 12 age group, providing challenge and fun for children of all ages. Because we firmly believe that every child has the right to meaningful play, the play structures are custom-designed with your accessibility needs in mind. 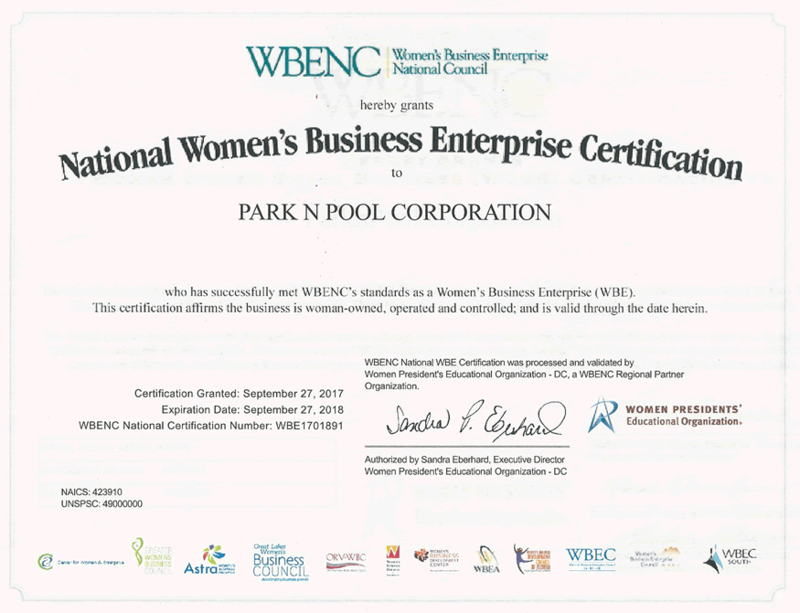 At our manufacturer are experts in the design of play environments that comply with the Americans with Disabilities Act (ADA). Climbers, overhead activities and ground-level play events build children's aerobic fitness and strength while they play, keeping them healthy and strong. 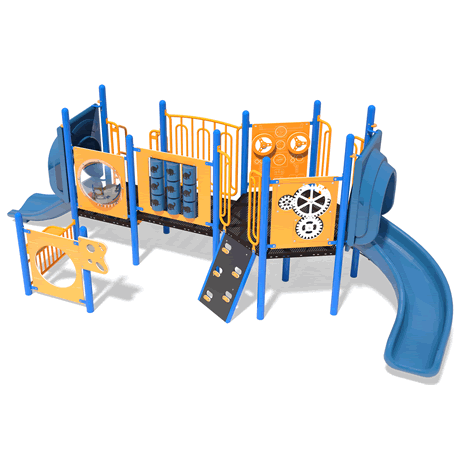 Play structures employ a proven Bolt-N-Go™ connection system makes installation easy. Play components bolt directly to pre-drilled and pre-threaded uprights, making the play structures easy to install and ideal for community-installed playground projects. 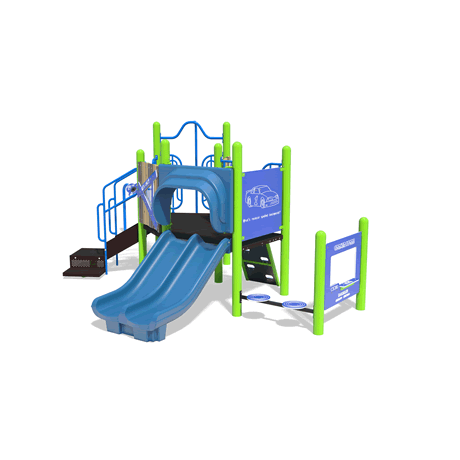 PlayFit is made with quality materials, including 3.5" O.D. x 13 gauge Allied Flo-Coat® uprights; PVC-free, punched and coated 12 gauge decks; and stainless steel hardware. PlayMax uses the same quality materials with larger 5" O.D. uprights. 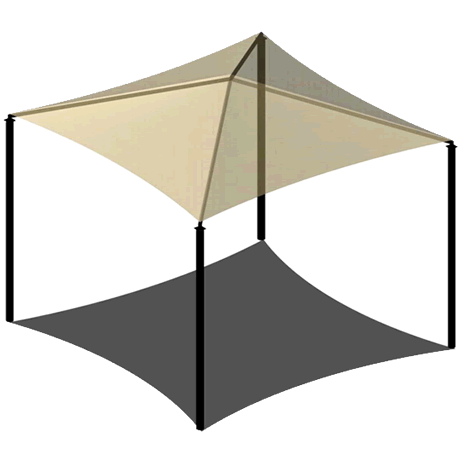 To keep children cool and out of the sun, all of our PlayFit and PlayMax playground lines are available with Mighty Shades sun protection as part of the playground. 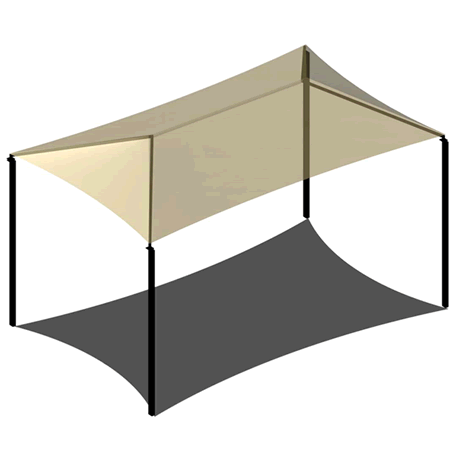 Standalone shade structures are also available. 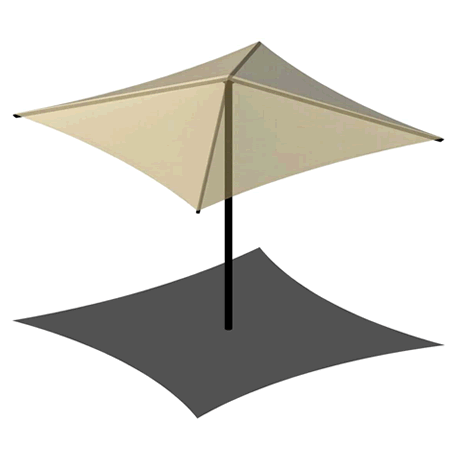 See the bottom of this page or follow the link to the Shade Structures page. Call and let our fun lovin' sales staff help you choose the perfect preschool playground equipment for you!